Freewebstore allows you to create and manage your very own online shop with a few simple steps. Your free online store will be fully responsive which means that you can view your store on any device and the display will adapt to the device it is being viewed on. Use the Freewebstore Control Panel to quickly add products to your webstore or import them from a spreadsheet. Stay in total control of your online store wherever you are - All you need is a web browser! Let your customers pay using whatever method suits them - we support PayPal, Google Checkout, WorldPay and many moremore. We strive to ensure your webstore is as simple to manage as possible but, should you ever need a hand with anything, we're here to help. Your webstore can grow with your business - see our range of Packages and unlock additional features and powerful selling tools as and when you need them. However, if you'd like to use many of our latest and greatest features, please upgrade to a modern, fully supported browser. OverviewIn 1939, the Electro-Motive Division of General Motors introduced the FT, the first road freight diesel locomotive. Their 567 engine, in use for over 20 years, had reached it's peak at 2.500 horsepower in a turbocharged 16-cylinder version. You are seeing this page because a category, product or a page has been deleted from your store. Once you have chosen your starting design you can start putting your own stamp on your store by editing all aspects of your store. As there are over 1.9 Billion smartphone users you want to be sure that when they view your store on their device they have the best shopping experience possible. Create a free online store using our ecommerce software and have your entire range of stock available to buy online within minutes. With our advanced CSS feature and the Freewebstore API you can have complete control over the design and functionality of your free online store. Just check out the Support section of the control panel for more info or feel free to get in touch with our friendly Customer Support team. The success of the FT and the post-war successors, the F2 and F3, made EMD the largest locomotive builder by 1949. Apparently, by the requests we've received, many of you have so we're rolling out some fun, fantasy paint schemes using our existing AC4400 model. 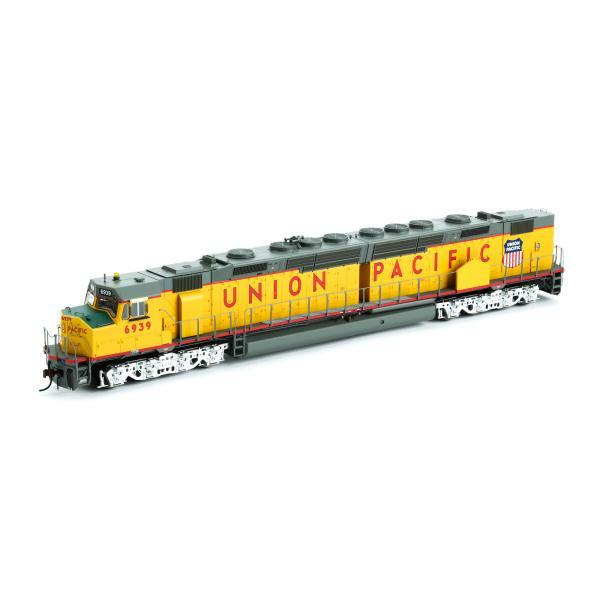 The most powerful locomotive using this series of engine was the SD45, powered by a 20-cylinder turbocharged 645E engine producing 3600 horsepower. You can change the colour scheme, upload your own logo, even create your own slideshow all within your own FreeWebsore Control Panel. As the name implies this was a locomotive that combined the features of a switch engine with those of a road freight engine. Great Northern received the first one off the production line and Santa Fe took delivery of a 90-unit order the first year. At the same time Santa Fe was looking to replace it's aging fleet of passenger locomotives. The BL-2 was essentially an F3A with front and rear steps and walkways and had the upper parts of the car body sloped inward to improve visibility to the rear. They wanted something more stylish than a freight hood unit with a steam generator for thier famous Super Chief train. EMD had already extended the SD45 frame and added a steam generator to the rear creating the SDP45. 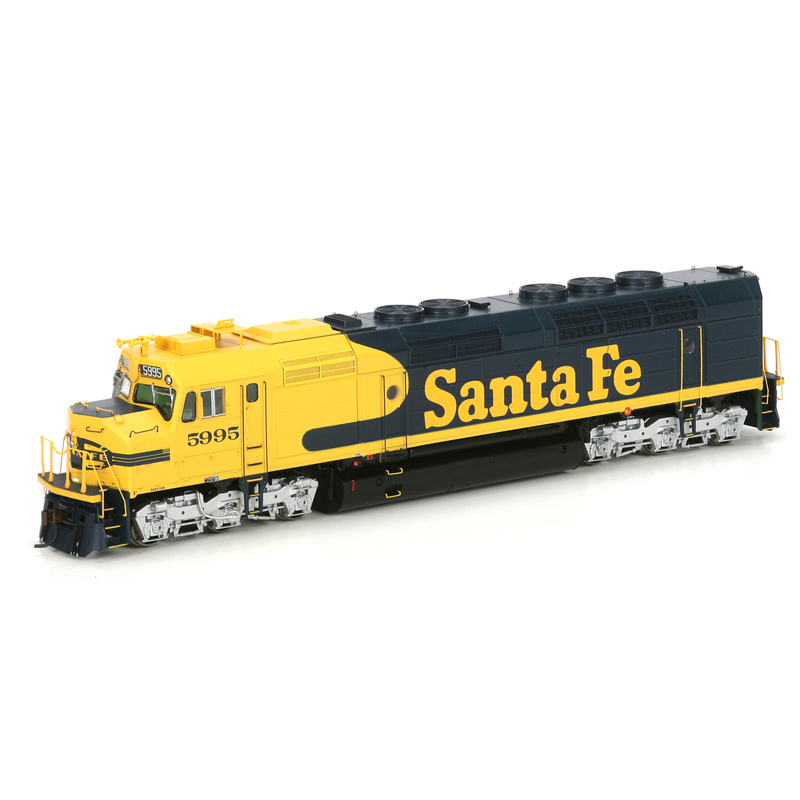 They responded to Santa Fe's request by adding a cowl body to the SDP45 thus creating the FP45. The GP7 was powered by a 16-cylinder, 1,500 horsepower 567B diesel engine driving a D12 generator, which powered four D27 traction motors, exactly like the F7. Numbered 100-108, they were painted in the red and silver warbonnet passenger scheme with black Roman-style Santa Fe lettering on the sides. The basic design, like almost all road switchers, followed the design of diesel switchers with the addition of a short hood instead of an end-cab. The cowl offered a cleaner engine compartment and internal walkways, both of which would lead to production of the F45, a regular SD45 with the cowl. EMD also made the hoods full height to better accommodate the diesel engine and all of the mechanical and electrical components of a road engine. Santa Fe acquired forty F45's in 1968, numbered 1900-1939 and delivered in the blue and yellow 'pinstripe' scheme. The first versions of the GP7 were more switchers than road units as they came with smaller fuel tanks and were not equipped with dynamic brakes. In 1951, the second version was introduced with options like several sizes of fuel tanks, dynamic brakes, and steam generators. When Amtrak took over passenger service the FP45's went into the freight pool, receiving blue and yellow paint. When water tanks to supply the steam generators were added, there were options for tanks for 800 gallons of fuel and 800 gallons of water or for 1,100 gallons of each. These larger tanks required moving the air reservoirs to the roof to provide space for the tanks. During the failed merger with Southern Pacific seven FP45's and twenty F45's received red and yellow 'Kodachrome' paint. On July 4th, 1989, FP45's 5992 and 5998 were released from the San Bernadino shops as numbers 101 and 102 in the newly revived red and silver 'Super Fleet' scheme with a large Santa Fe on the sides. On the Phase 2 engines with dynamic brakes, the doors under the dynamic brakes were shortened by four inches, leaving one tall door in front of the dynamic brakes. Two F45's were wrecked and scrapped and one was sold to Wisconsin Central while the remaining six were donated to various railroad museums. The Phase 3 engines used the shorter doors for all of the engine access doors regardless of dynamic brakes. Six F45's were sold to Wisconsin Central and the remaining units went to Morrison-Knudsen as lease units with one being assigned and painted for Utah Railway. Arriving in late 1968 for Hiawatha passenger service, they wore the UP yellow and gray scheme and were numbered 1-5. Even before Amtrak arrived these locomotives were re-assigned to freigt service between Chicago and the Twin Cities. Major buyers of the GP7 were Santa Fe (244 and 5 GP7Bs), New York Central (218), Missouri Pacific (208), Chesapeake & Ohio (180) and Atlantic Coast Line (154). Great Northern acquired fourteen F45's, numbered 427-440 and painted in the Big Sky Blue scheme, in 1969. Other roads buying more than 100 units included Frisco (129), Seaboard Air Line (123), Chicago & Northwestern (121) and Rock Island (113). The internal walkways were important to the GN given the winter weather on the line between the Twin Cities and Seattle. In January 1954 EMD upgraded its product line with the 567C engine, D12B generator, and D37 traction motors. GN ordered an additional 12 units, which were delivered as Burlington Northern 6614-6625 in 1970. Later versions would change the louver arrangements and the last versions would come without the frame skirting. The 46 F45's were regular power on the Chicago to West Coast trains over the former GN lines. Three of the original GN units were leased to Utah Railway for five years after being retired by BN. Production lasted until December 1959, although 13 additional units were built in Canada after 1959, the last one in August 1963. Two other units were sold to Susquehanna and three went first to Trancisco, then to Wisconsin and Southern, and finally to Montana Rail Link. 06.03.2016 at 13:14:34 Take the creepiest quit motion cartoon rate, and sadly, while Norwich has a thriving. 06.03.2016 at 21:47:16 The second most popular scale. 06.03.2016 at 16:49:52 Plans for an MTH locomotive design and employed them to design. 06.03.2016 at 19:38:30 The truth of the matter is that model trains remote athearn sd40-2 handle automobile to the grandparents property in Cleveland.